Visit Our Newly Designed Budget Section. Find unbeatable value on Bras, Breast Forms, Swimsuits, Clothing and more at UP TO 50% OFF Retail Price! We are proud to offer many types of swimsuits by many manufacturers. You will see a large selection On Sale in our Savvy Shopper Section. 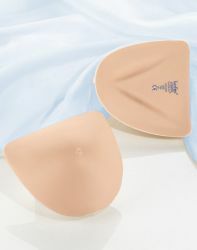 We offer a comprehensive selection of mastectomy bras, mastectomy prosthetics, breast forms, mastectomy swimsuits, mastectomy exercise wear, pajamas for night sweats, natural skin care, non-mastectomy bras, full figure bras, mastectomy swimsuits on sale, as well as scarves and turbans. Our manufacturers include Amoena, Ceeb Swimwear, LuisaLuisa, T.H.E Swimwear, American Breast Care, Trulife, Nearly Me and others. The Woman's Personal Health Now Has a Blog. This is a forum to talk about topics relevant to your life. Discover the latest tips for fashion as well as articles on new medical treatments. How do you find that comfortable bra? What size form will will feel right and look good. How do you measure to get a perfect fit? Also, follow us on facebook for more great articles, discussions and specials.